Ultherapy® uses time-tested ultrasound energy to lift and tighten the skin naturally without surgery, helping you achieve a fresher, more youthful you from your brow to your chest! The safety and efficacy of Ultherapy have been established through clinical studies and over 800,000 treatments performed worldwide1. Ultherapy is approved in over 90 countries to lift the skin on the neck, under the chin, and on the brow, as well as to improve the appearance of lines and wrinkles on the décolleté. 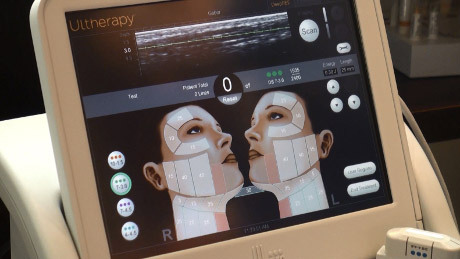 Ultherapy uses precise ultrasound energy to target the deep structural layers of the skin without disrupting the skin’s surface. 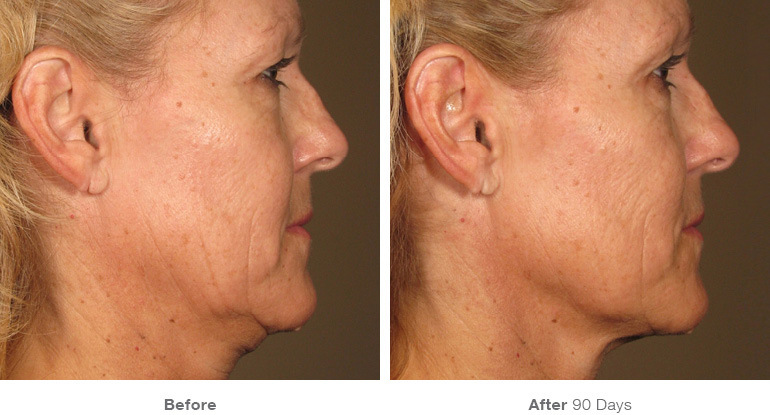 After treatment, the body’s tissue repair process stimulates the production of new collagen, creating a natural lifting effect. During the Ultherapy treatment, the practitioner uses ultrasound imaging to identify the optimal layers of tissue for collagen regeneration. This ensures the ultrasound energy is delivered to where it will be the most beneficial, resulting in targeted collagen growth where it matters most.